The Ghibli II, is a remarkable 26 meters long yacht which for the first time in 2018 be available for luxury yacht charter in Italy. 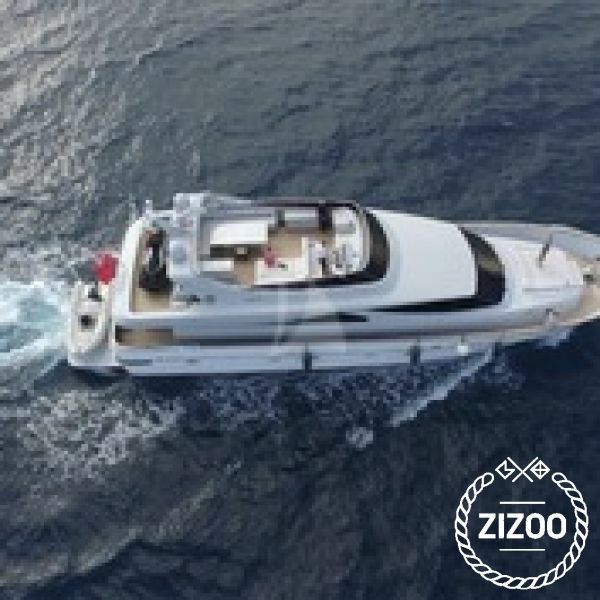 She had a total refit in 2018 and it is in excellent condition.• The impressive interior configuration is designed to comfortably accommodate up to 8 guests in 4 cabins consisting of a Master cabin, a VIP cabin and 2 twin cabins allwith en-suite bathrooms.• Other than the 4 cabins, the guests can relax and enjoy themselves in spacious and elegant daytime seating areas, both inside the yacht and out. The main salon is especially breathtaking with its lovely design perfect for entertaining guests or an intimate family gathering. The dining area is sure to impress all of her guests with its classy décor. • This beautiful motor yacht also accommodates 4 crew members – the captain, a chef,a hostess and a sailor who are there to provide professional service on board.